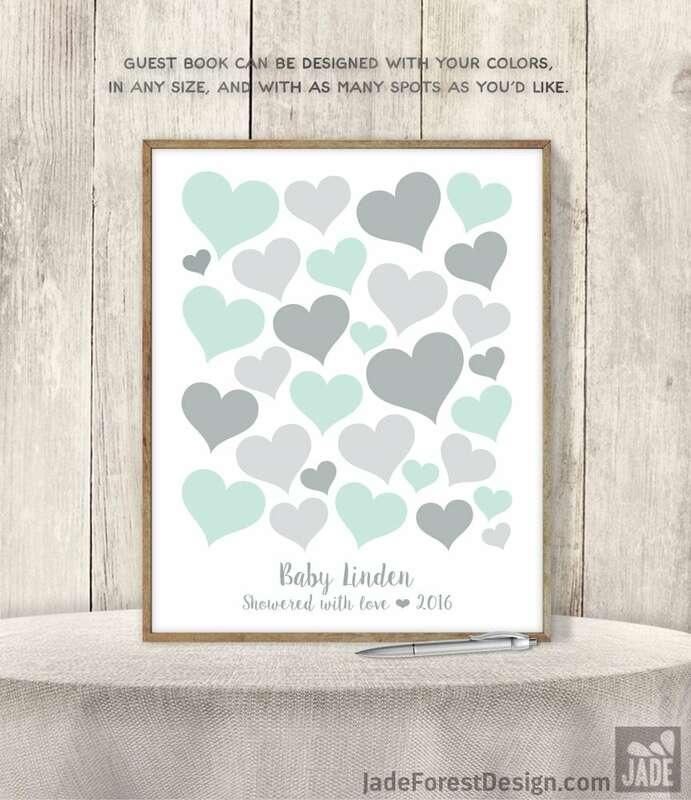 Are you looking for a unique, fun and memorable alternative to a traditional wedding guest book? 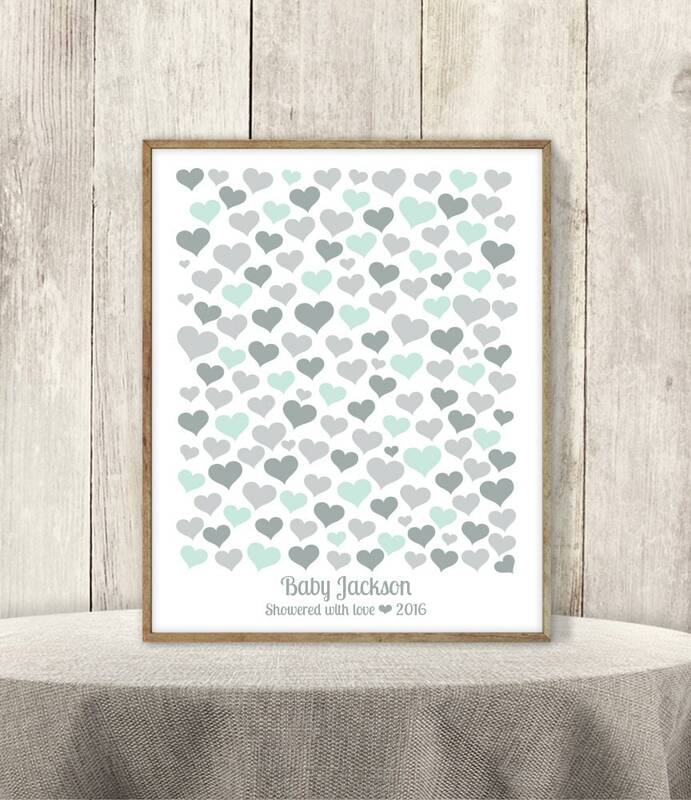 Your guests will love signing each of the shapes on this beautiful love-themed print, creating a truly one-of-a-kind keepsake to display in your home after the celebration! This heart design is not only personalized, but also completely customized with your choice of colors and fonts! Available on paper, canvas or digitally, framed or unframed. All details are explained below ↓, but if you have any questions, please use the “Ask a Question” button next to the price and I’ll get right back to you! TEXT ➜ You can customize the text at no extra charge. Your design is custom created with the info you provide. This attention to detail is what creates perfect, professional results! COLORS ➜ No extra charge to change any of the colors! 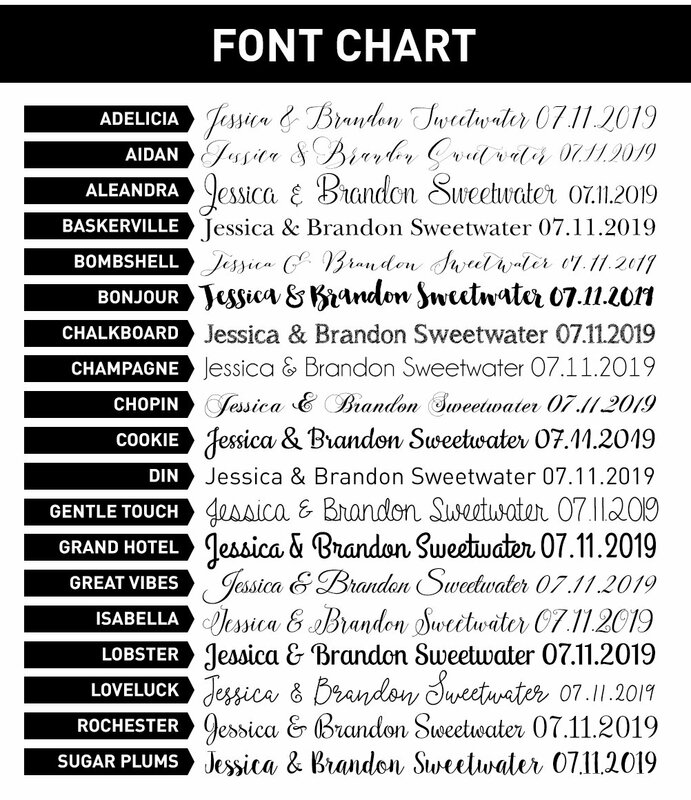 FONTS ➜ No extra charge to use any of the fonts shown in the font chart! METALLICS ➜ My designs do NOT use metallic inks or foil. Anytime you see a metallic on an item within the shop, you're looking at a digital faux metallic image of the texture, highlights & shadows. When printed, this creates lovely results, at a fraction of the cost of foil, or metallic ink. The size of each individual shape changes proportionally to the size of the whole design and the number needed. When in doubt, I always suggest going LARGER, rather than smaller. 30+ spots are shown in the sample photo. All sizes listed in inches. ➤ PAPER ➤ Printed on heavyweight matte paper using archival-quality inks. Needs to be framed to display. ➤ CANVAS ➤ Printed on smooth, clay-coated canvas, and gallery-wrapped over a 3/4" deep wood frame. No need to frame, hardware included. Recommended for outdoor display, makes a lovely keepsake. EMAIL option ➜ Personalized, high-resolution, printer-ready (printable) files via email. International customers can use coupon code PRINTABLEONLY to remove shipping costs from printable orders at checkout. ✚ Add a maple wood frame using the drop-down menus when placing your order. 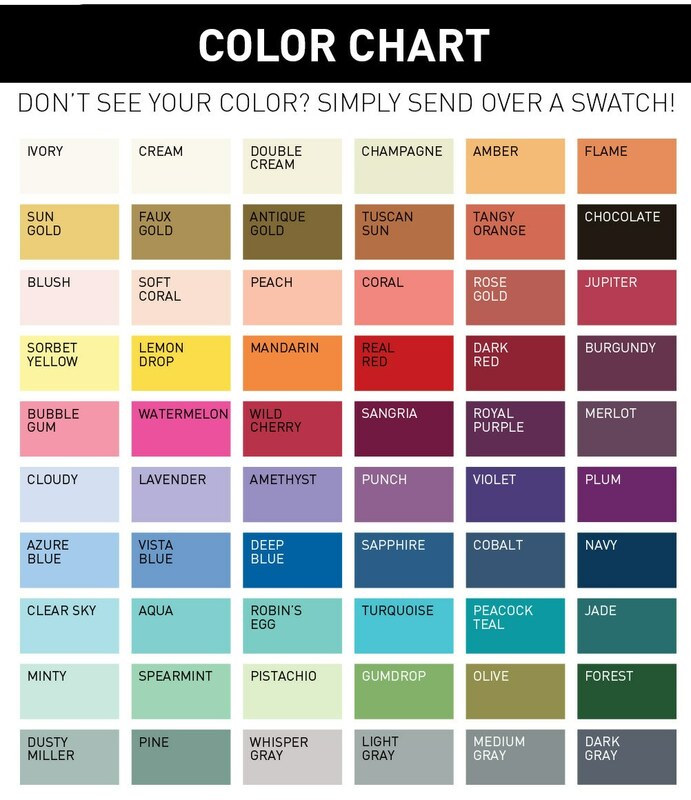 Choose from Gold, Rose Gold, Silver, Gray, Rustic White, Natural, Walnut, Espresso, or Black. ➤ FRAMES for PAPER are solid wood, and include the glass and hardware. These are 1" wide and 7/8" deep. All colors except black are beveled. For guest books, you’d want to have the print in the frame at your event, but take out the front glass piece until after it's signed. 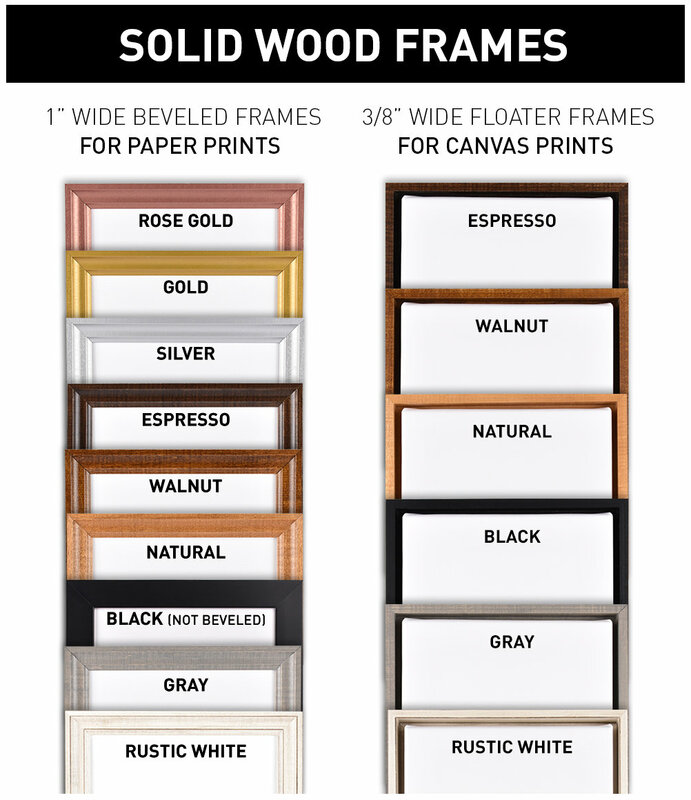 ➤ FLOATER FRAMES for CANVAS are solid wood, and include the hardware. There is NO GLASS. These are 3/8" wide and 1 1/4" deep. 🔸 HOW LONG WILL IT TAKE? PENS ➜ I recommend providing your guests with ARCHIVAL-quality pens (such as Sakura/Micron). You should be able to find those at a craft store such as Michael’s, or on Amazon. I do not recommend Sharpies, or any other non-archival pens, as they may fade over time. Please keep in mind that you’ll need a light-colored and/or metallic pen if your signature spots are dark. Use coupon code PRINTABLEONLY to remove shipping costs from printable orders at checkout. Choosing the printable, and printing locally, is often the quickest, and most affordable option for International customers. • framed paper prints up to 11" x 14"
• canvas prints up to 16" x 20"
International shipping is 2–5 weeks, depending on customs. 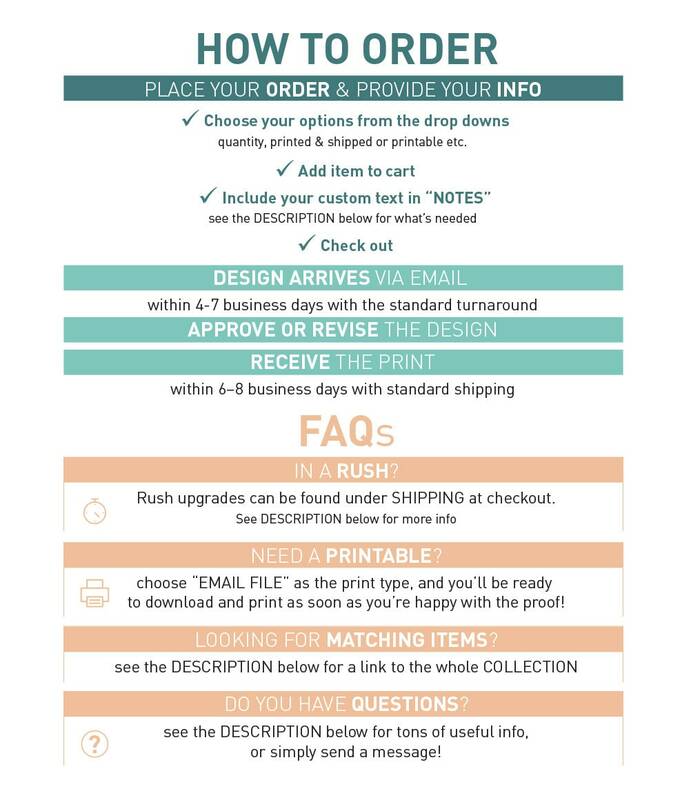 Just〈Ask a question〉or〈Request a custom order〉and I’ll get right back to you! Created with ♥ in the USA.